Stop Working In Your Pet Sitting Business! Written by Colleen Sedgwick on November 7, 2014 . Posted in Multiply. 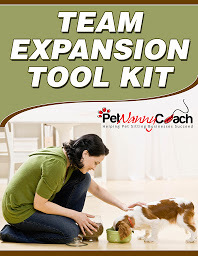 You will make amazing strides in your pet sitting business when you start working ON your business. I have some exciting news!!! I have recently taken the next big step in my own pet sitting business…. I have hired a Sitter Manager. Woohoo! I’m going to rewind a bit to first tell you how I found myself in the position of needing to make this hire for the continued health of my business. Many moons ago I hired my first “virtual assistant,” whose job title is now, “Client Happiness Manager,” or “CHM” for short. So, as Pet Nanny has continued to grow by leaps and bounds, my CHM and I found ourselves working around the clock and more importantly, we constantly found ourselves with a shortage of qualified pet sitters. This in turn was stopping the growth of the business. Do you see the vicious cycle here? This is when I knew it was time to bring in additional support. So, as you can see, bringing on additional support is going to help me to exponentially grow my business. As pet sitters, most of started our business because we are first, animal lovers. We start by doing the pet sitting ourselves happy as can be because we get to play with pets all day. Then we hit a financial plateau, because there are just so many clients we can squeeze into a single day. Then, in most cases we hit burn out, because running around morning, noon and night, 365 days per year is a recipe for disaster. The answer to this very common problem is to remove yourself from doing the actual pet sitting. In other words, “stop working in your business and start working on your business.” This is how you will be able to expand your business and make a lot more money in this industry. Another perk… You have your sanity and your free time back. Check… Check! Is it time to bring on some support, so you can stop working IN your business and start working ON GROWING your business? Food for thought.